Here I am with my illustration for the monthly Draw A Dot Instagram contest. This time the main theme is the amazing Fall 2016 ollection designed by the talented Iris Van Herpen, inspired by sound waves. 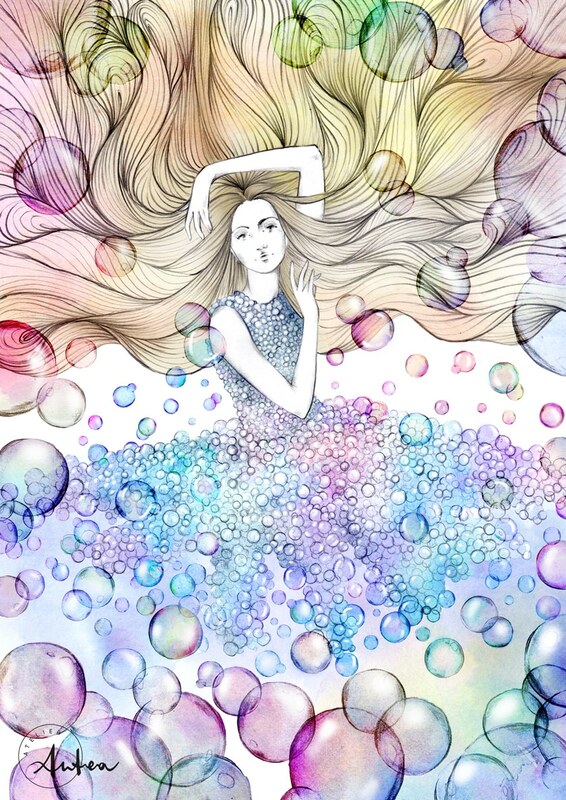 For my drawing, I picked out the stunning bubble dress and I decided to focus my attention on the concept of sound spread, depicted by the floating bubbles and hair. Moreover I took the poetic license of adding a touch of color. Hoping you’ll like it, I wish to all of you a lovely week end!